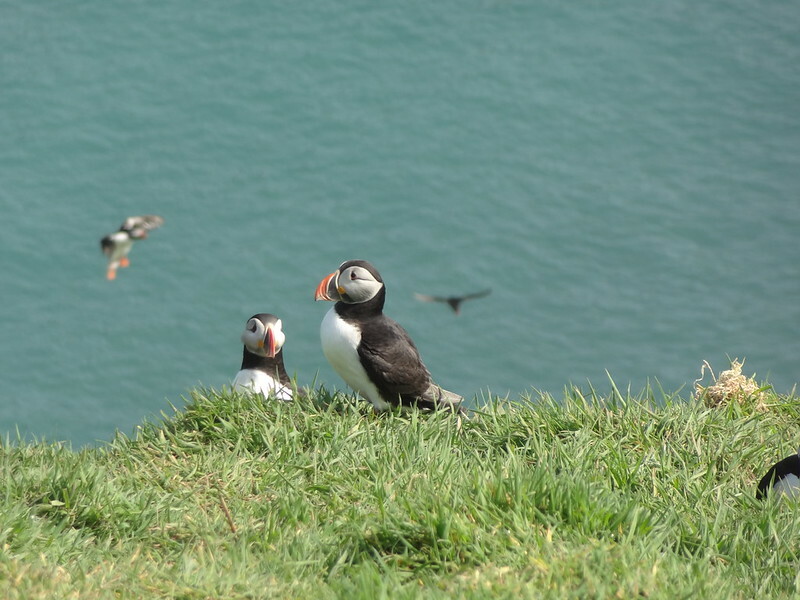 A magic weekend in Pembrokeshire with a trip to Skomer for the long awaited Project Puffin! The usual: Hazel, Charles and I met at Paddington at 3pm. Paddington to Newport by train. Newport to Steffi’s with Dave – and Gwyneth. 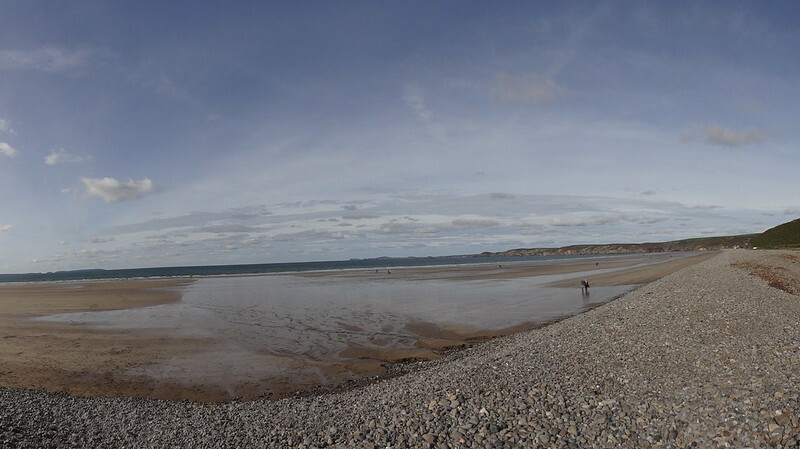 LARGE G&Ts courtesy of Maurice and curries à la Steffi at Mayhem, then on to Newgale for a night in the caravan. An early start (7am) to allow time for coffee and croissants before Dave drove us over to Martin’s Haven, arriving there at 9.30am and getting tickets for the 10am ferry to Skomer, the first of the day. 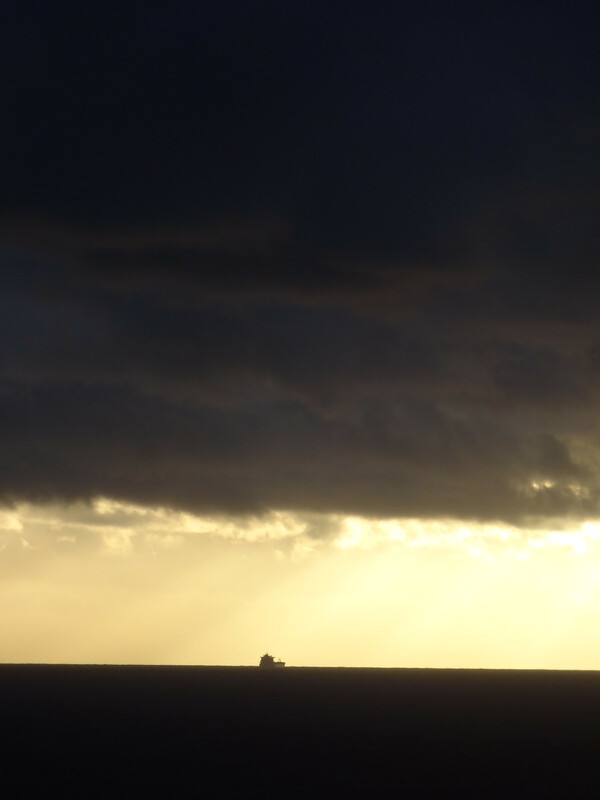 A gloomy, grey morning. Our main hope was to avoid rain. 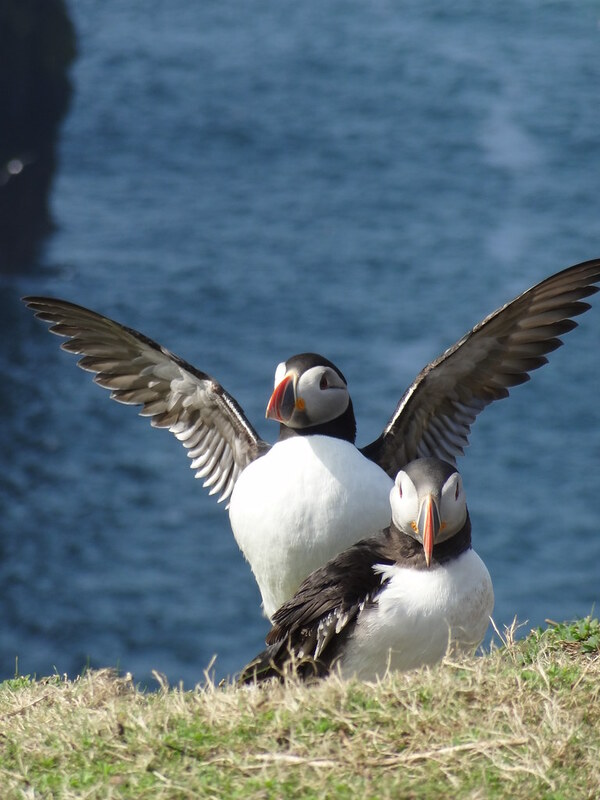 A smooth crossing, with puffins skimming low over the water to join the rafts that floated just off the Skomer coastline. We had a great briefing from one of the wardens at the top of the steps up from the jetty at North Haven, and then we were free to explore until our 3pm return to the mainland. 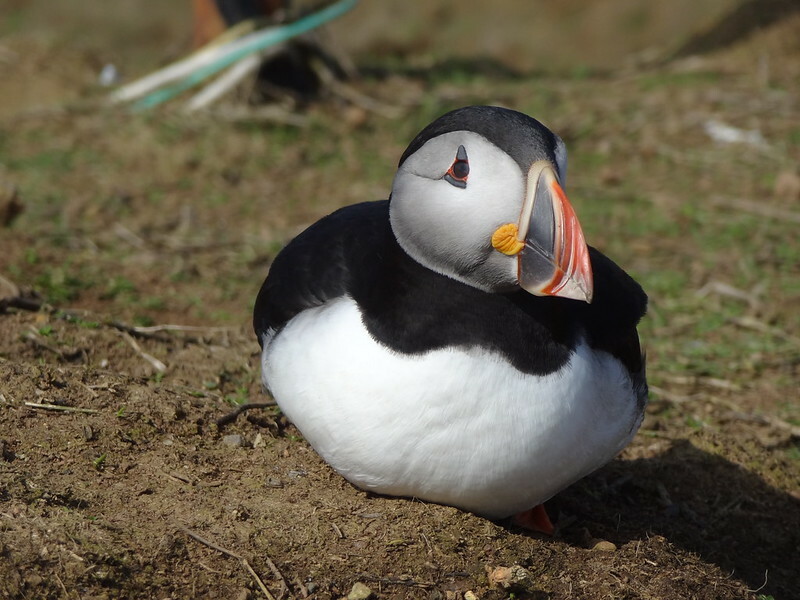 The volunteer wardens have a job getting people up the steps – not because they are tricky, but because there are puffins and razorbills almost within reach all the way up, and certainly within camera range…. 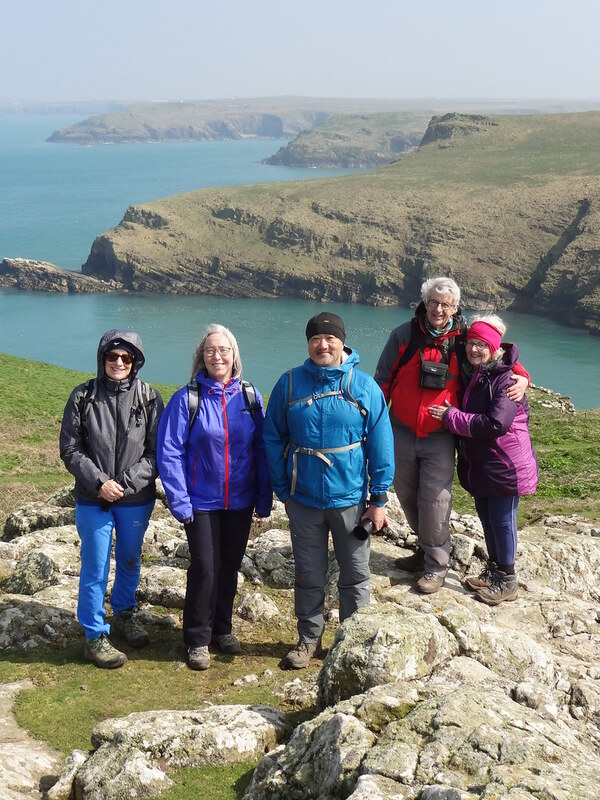 We decided to follow the coastal footpath clockwise around Skomer – and within our first half hour on the island the morning started to brighten. 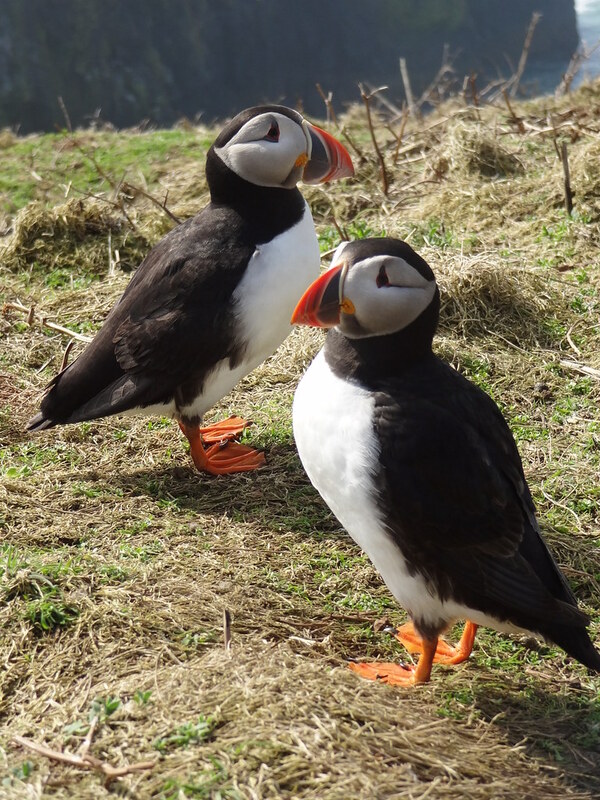 We spent the rest of the day there in glorious sunshine, getting hundreds of photos of puffins, mainly at High Cliff and The Wick (including the Lonely White Puffin), and seals up at Garland Stone. We picnicked at Old Farm, and returned for our 3pm boat back to the mainland via the ruins of the Iron Age house that nestle below the rocks of the South Plateau, the High Cliff puffins and the megalith at Harold Stone. Excellent tea / coffee / cake at the Clock House Cafe in Marloes, and an afternoon pint at the Druidstone Inn, soaking up the sun and the view out over St Brides Bay. Fabulous. An evening of wine, crisps, veggie spag bol, bread and cheese back at the caravan. Rain. Lots of rain. So no walk on the beach or in the woods back at Steffi’s. 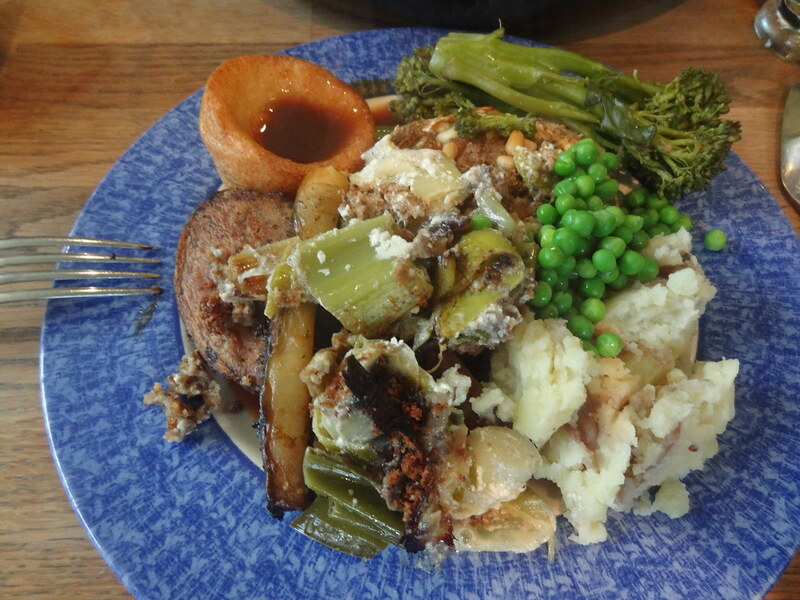 Instead, a brief sojourn in Haverfordwest to tour the Aisles of Lidl and the Aisles of Aldi, then back to Mayhem for one of Maurice’s Marvellous Sunday lunches: pulled beef, a giant yorkshire pudding (veggie toad in the hole for me), gravy, creamed leeks, roast potatoes and sweet potatoes, corn on the cob, broccoli, green beans, peas and broad beans. 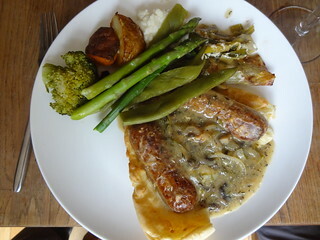 With cherry bakewell tart and ice cream to follow. Not surprisingly we three in the back seat snoozed for most of the drive back to Newport…. Home around 8.45pm after a slow journey back to London with GWR. 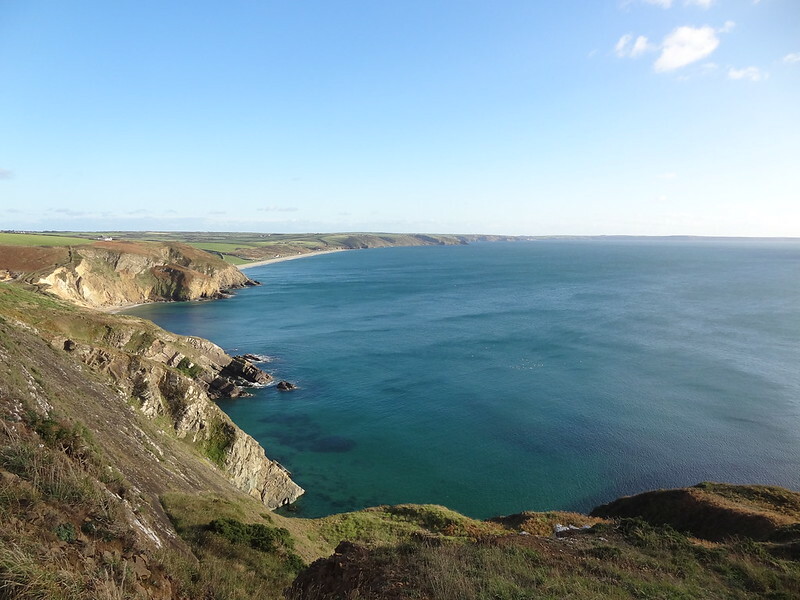 The latest in our bi-annual Pembrokeshire-get-togethers-with-a-walk. The usual Paddington rendezvous with Hazel and Charles then out on an earlier than usual GWR train service to Newport where Dave was waiting for us. Two hours later, we drew up outside Mayhem. G&T in the new summer house (aka Winterfell) segued into refills with curry dinner. Uh oh. No onward journey to the caravan – spare beds were available and the Saturday walk was on the southern section of the coast path – made for a boozy evening and a late night, finished off with a slice of Charles’ home made and aptly-named Decadent Chocolate and Banana Pie (as seen on David Rocco’s Dolce India). …. dawned grey and wet, as the tail ends of Hurricanes Lee and Maria made their way across the UK. 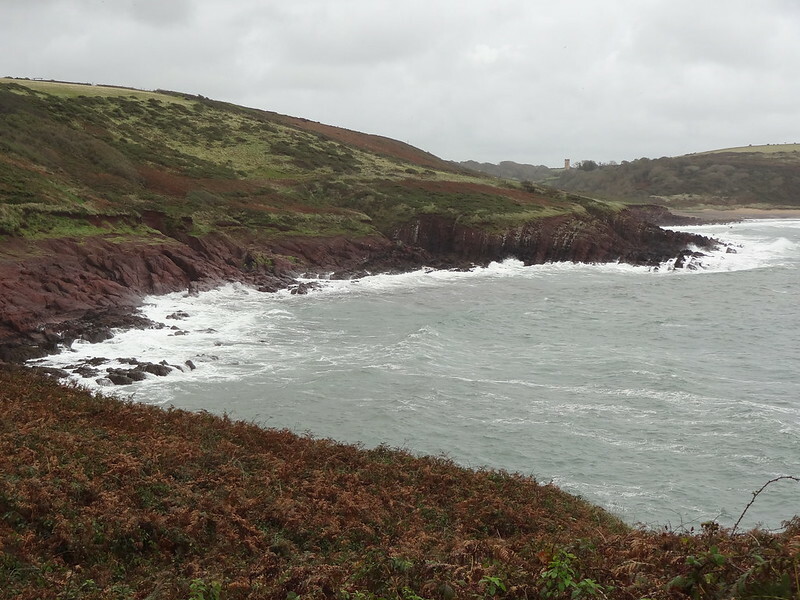 Still, “it’s never to wet to walk”, so Dave drove us over to Freshwater East and the start of a new section of the Pembrokeshire Coast Path: Freshwater East Beach to Manorbier (and back). 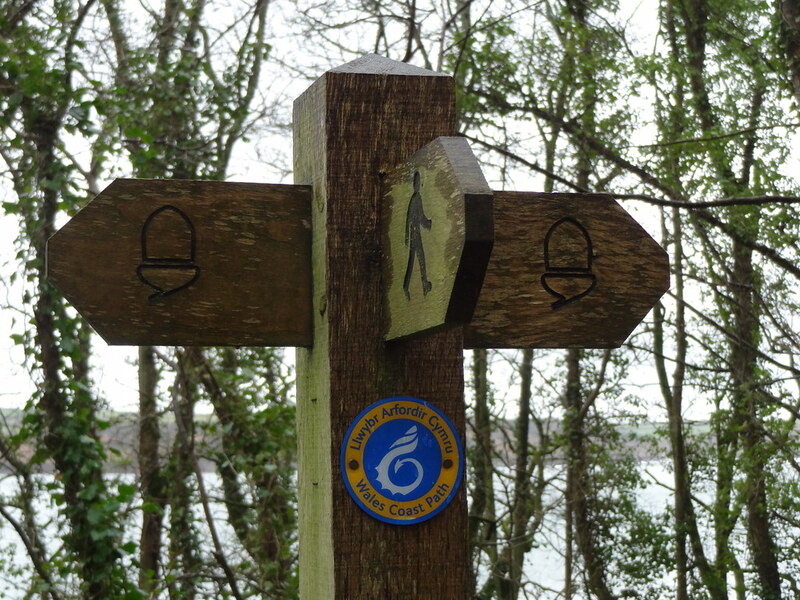 The rain eased off for our outward walk … returning just as the church came into sight. So we dripped into the Beach Break Tea Rooms (and Gift Shop). 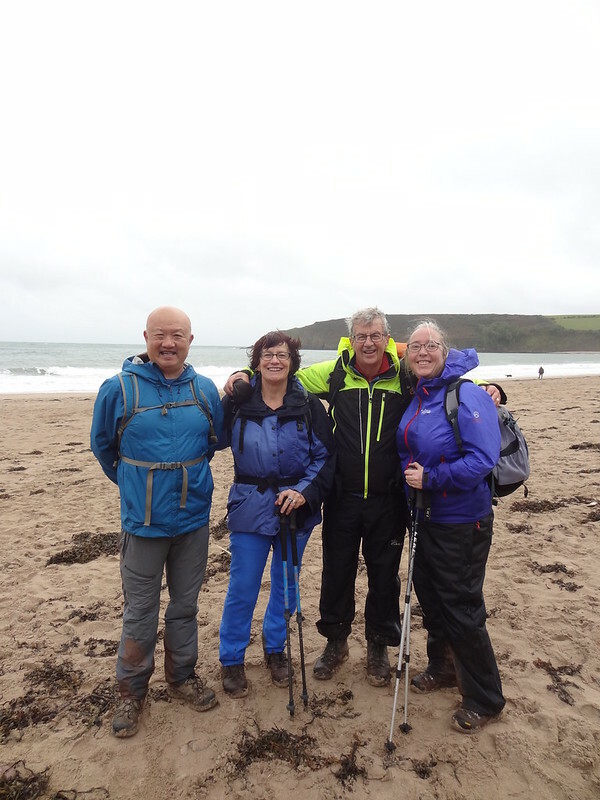 Restored by an excellent round of Welsh Caul / Haddock Chowder / Baked Potato followed by cups of tea / coffee / hot chocolate, we headed back out again under still cloudy skies – but thankfully the rain held off for the whole of our walk back to Freshwater East and its magnificent beach. Windy though. The Freshwater East cafe / bar didn’t appeal, but The Cake Shop on Pembroke’s Main Street proved an excellent alternative. I don’t think I’ve ever seen such a vast array of home made cakes and biscuits (their Facebook photos don’t lie!) …. extremely hard to choose what to have! After a lot of deliberating, (Christmas Fruit) Cake won out (and the rain resumed). Back at Minwear Wood I had a nap while the others chatted over a glass or two of Prosecco. 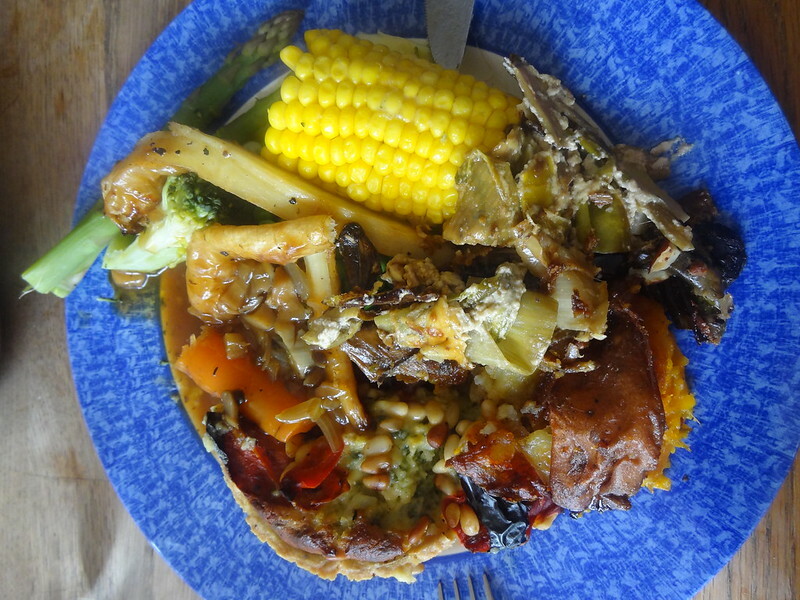 Then dinner – super tasty roast veg and ginger soup made by Steffi accompanied by Cardigan Bakery bread and a selection of Caws Cenarth Cheeses. Early to bed. Despite the nap. No rain … well, not until we’d breakfasted and started to think about a stroll in the woods. Plan B (really, Plan A!) was put into action: A tour round the Aisles of Aldi. On the shopping list for this visitation, this week’s special offer electric log stove to go into the Not-Just-Summer House (Steffi) and wine (everyone else). Some Christmas treats also made it into my basket; it’s never the wrong time of year for Christmas Cake and / or Stollen in my book. The rain had clearly settled in for the day so once back at base we lent our selves to putting the stove together and helping Maurice and Charles prepare our Mexican lunch extravaganza. With a small glass of wine to set the mood and to help tidy up the left over nachos…. A leisurely lunch, lingering until 2.30pm before setting off on the journey home. “Dave’s Taxi” to Newport, GWR to Paddington and then negotiating the weekend engineering works on the tube. The Tenth Everest Trek Get Together snuck up on me…. earlier than usual, due to April / May’s Nepal trek which Steffi is coming on too. Still, the usual routine ensured the weekend in Pembrokeshire went smoothly as usual – from the Friday rendezvous with Dave at Newport and curry extravaganza at Mayhem, to walking another section of the Pembrokeshire Coastal Path on Saturday and culminating with a Slap Up Sunday Lunch courtesy of Maurice and Marie on Sunday (and a visit to the aisles of Aldi en route). In fact, the main novelty was Russell’s presence. Very very windy and muddy on Saturday, but thankfully the rain held off – which it hadn’t done last weekend when Steffi recce’d the route. A lovely bus driver for the Puffin Shuttle from Newgale to Marloes where we picked up the onwards bus to Dale for the walk around St Anns Head (aka Dale to Martin’s Haven and cutting back across the narrow peninsula to Dale). 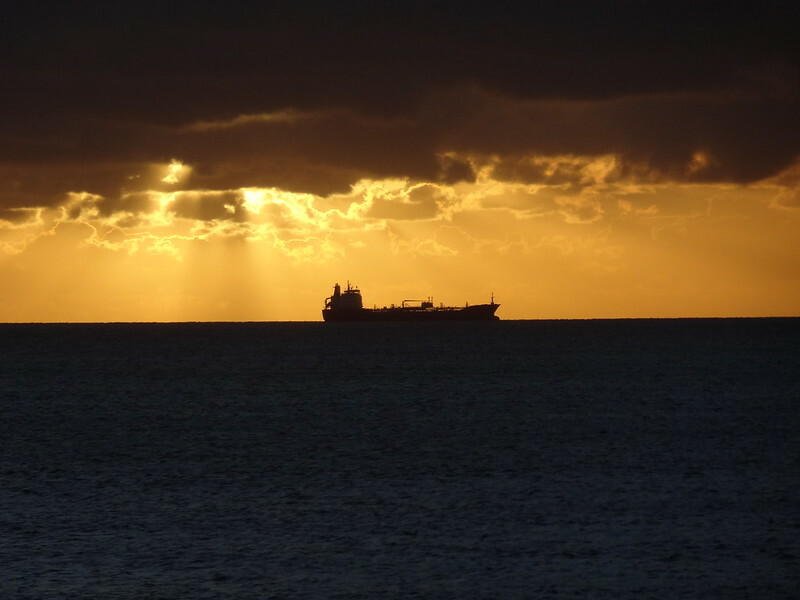 Lots of views of the tankers waiting to get into Milford Haven, and the Irish Ferry lurching its way towards Pembroke Dock. Plus Henry VII’s 1485 landing site. Sandwich lunch back at Dale then a short hop on the bus to Marloes and back to Broad Haven, familiar faces at the wheels. 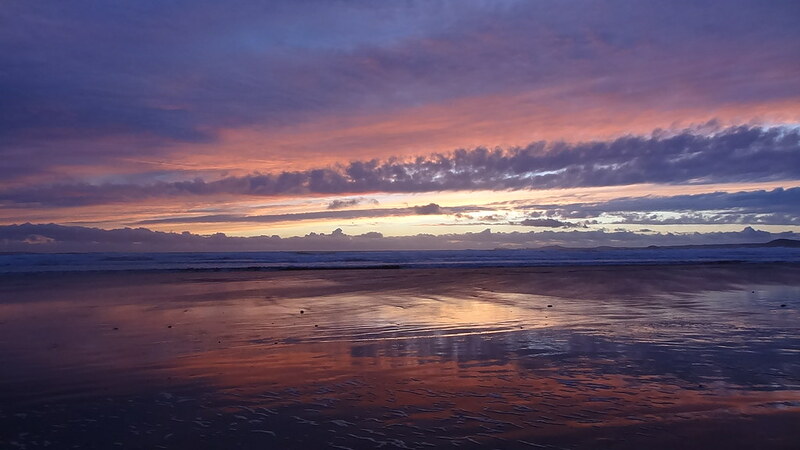 Sensations crisps on special at the Londis compensated for the disappointing cake options at the Ocean Cafe, and another 7 miles brought us to sunset on Newgale Beach, and a nicely boozy evening back at the caravan. 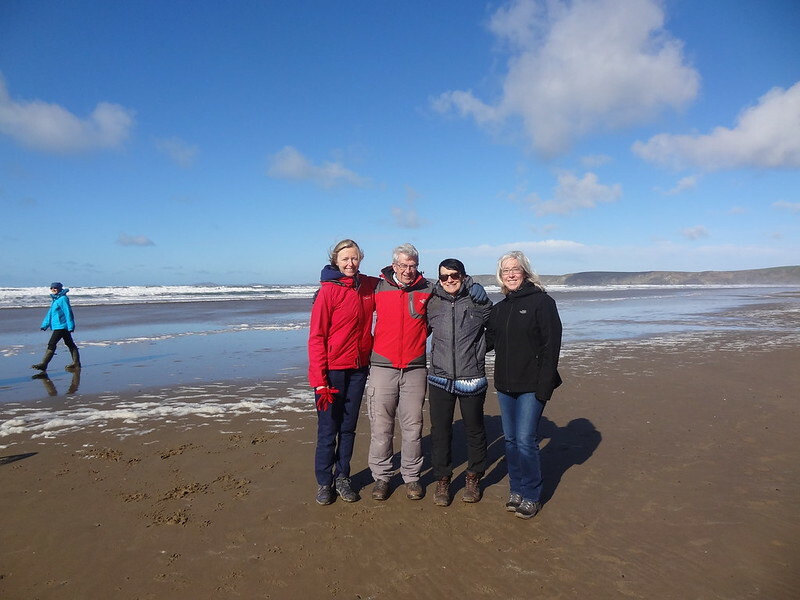 The heavy rain in the evening and overnight didn’t deter Steffi, Dave and I from heading out on Sunday morning, leaning into the wind all the way to the northern end of Newgale beach and up onto the clifftops – until the wind whipped my hat from my head. Happily it was snagged on a nearby bramble patch. Back to base for a second breakfast with Hazel and Russell and leisurely packing up. 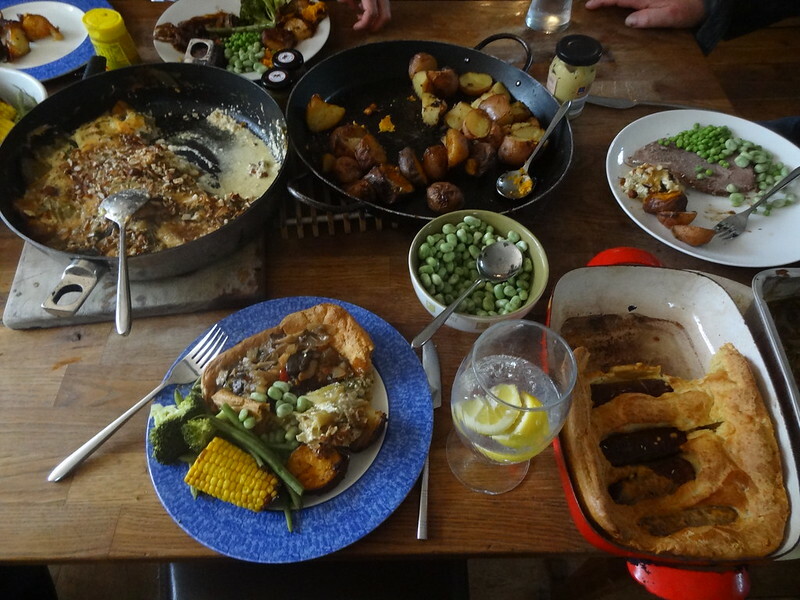 Haverfordwest Aldi supplied a few more bottles of wine for Sunday lunch – another feast all round. Not surprisingly, I slept for the drive back to Newport where we caught a quiet train back to London. Photos on Flickr: Pembrokeshire, March 2017.